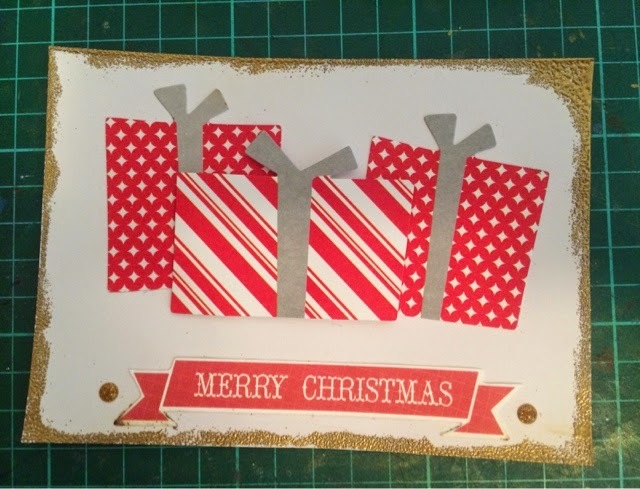 Chrissi's Scrappy Space: Can't wait for the festive season. Can't wait for the festive season. So as you may have guessed, I'm in a rather Christmassy mood a lot lately. We love Christmas here, and with all the fabulous christmas ranges comming out, I'm buying more then I dare say I will use for the next few years. But I just cant help it, they are so perfect lol. So I've been making a lot of Christmas cards this year- yes I started early- it's a great way to get a good Christmas fix before the festive season is upon us lol. So I decided to keep it and will use it in my December Daily album. I'm still perfecting my embossing, so it's a little dodgy- haven't embossed in years, but I still love it.